Size of this preview: 471 × 599 pixels. Other resolutions: 188 × 240 pixels | 550 × 700 pixels. 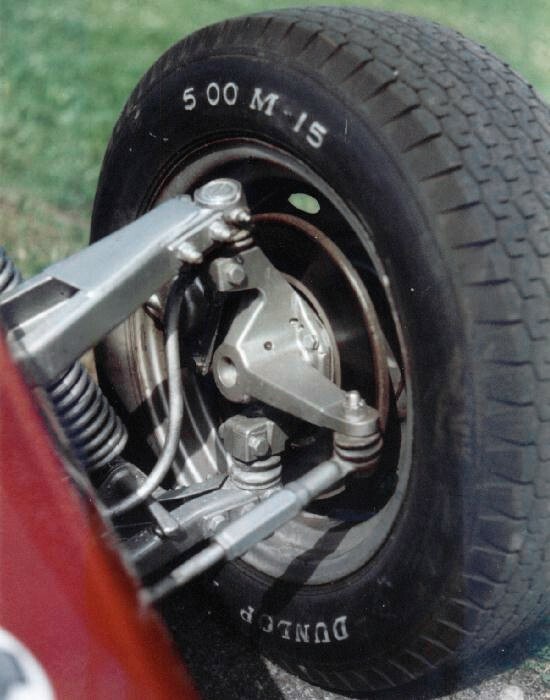 Left front wheel suspension of a Saab Quantum IV with double wishbones, showing kingpin axis, wheel hub, disc brake, steering arm and tire. This work has been released into the public domain by its author, Sonett72 at the Wikipedia project. This applies worldwide. Sonett72 grants anyone the right to use this work for any purpose, without any conditions, unless such conditions are required by law.